Now for the narration. 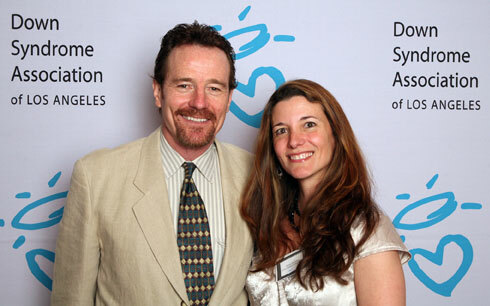 Two years earlier, I’m at a luncheon for the Down Syndrome Association of Los Angeles and the emcee happens to be Bryan Cranston - you know, the dad from Malcolm in the Middle? Anyway, I was luckily seated next to him for lunch. We had great conversation and I thought we got along rather nicely. I find Bryan’s assistant and get directed to his agent. I explain that I don’t have a lot of funds, but maybe this would be interesting enough that Bryan would want to do it anyway. They give me the green light to send the manuscript to Bryan’s assistant and gate keeper. This is really the person that needs to like it or it will never even get to Bryan. Luckily for me, she does like it and hands it off to Bryan. My husband and I are in the hospital while our son is having a tonsilectomy. I know it’s not a big deal, but to me, anytime you have to go “under” is a big deal. Of course, Leo comes out of surgery just fine and I can breathe again. Then I get a text message that Bryan read the script and is excited to narrate. Hear what Bryan has to say in these interviews.